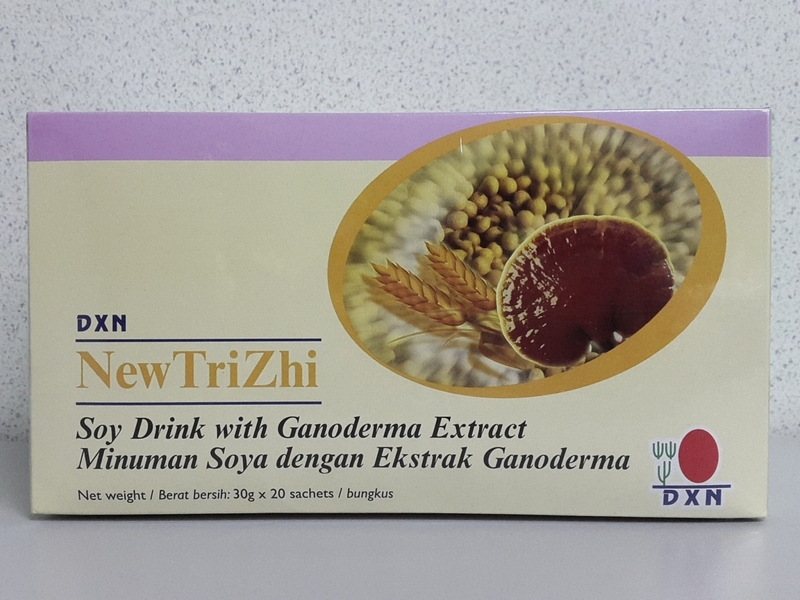 DXN NutriZhi is a mixed soy and malt nutritious beverage specially formulated using premium quality of soybeans, malt and Ganoderma Mycelium extracts. This nutritious beverage is fortified with Lecithin, Omega 3, Omega 6 and high in Calcium, Iron, vitamin A, C and E. It is rich and creamy with natural soybean taste and great aroma of malt, thus making it trulu nutritious and delicious. It is cholesterol free. Instant Soya Bean Powder, Malt extract (Barley), Non Dairy Creamer, Sugar, Ganoderma Extract, Omega 3, Omega 6.